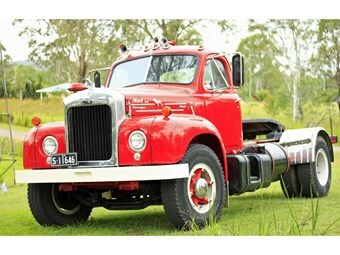 Having owned his 1961 Mack B-Model truck for around 20 years, Ray Hobbs is ready to sell up, and is using the Deals on Wheels mag and tradetrucks.com.au to do it. This photo, taken by Ray’s wife, goes to show how a little extra effort when taking photos can really make your truck stand out. Vintage truck show enthusiasts will be no stranger to the classic B-Series Mack, and for good reason. Aside from the obvious good looks, these old Mack's are still tough enough to drive around without aggravating the rest of the freeway. Ray believes that one of the other main reasons for the extra popularity amongst enthusiasts these days is because it is the "First interstate transporter that they all drove." Clearly, the fond memories remain. 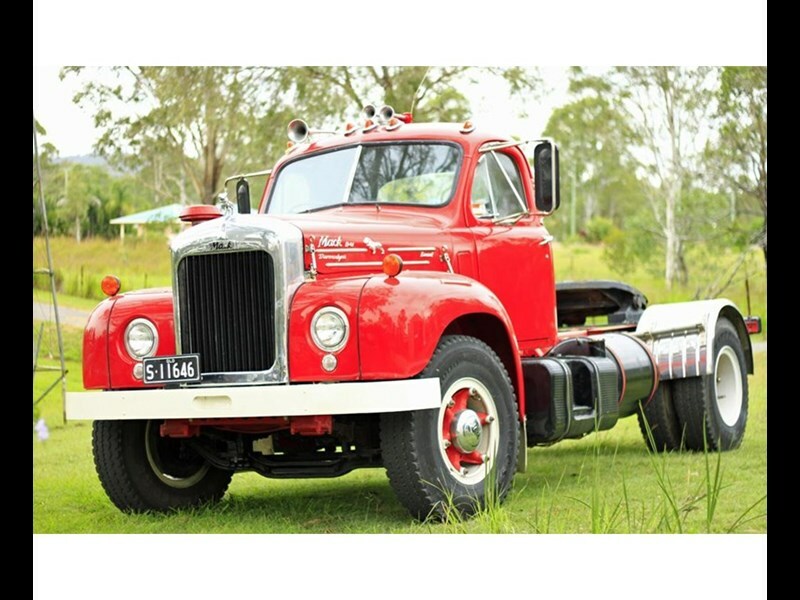 Back when Ray bought his truck from a local in Gladstone, it was being used as a water carrier and was in merely decent condition. As evidenced by the striking red sheen, Ray personally restored it to its full glory. Unfortunately, there will always come a time when one has to say goodbye, and for Ray, that time is now. As an owner of various classic vehicles, including a Ford Mustang and a Kombi van, Ray thinks that there is someone out there who can get more use out of it than he. Ray did what few of us will ever accomplish and admitted that a man can, in fact, have "Too many toys." Ray is selling this Mack B-61 for $35,000 or best offer, for more information on how to contact him, check out his ad here. 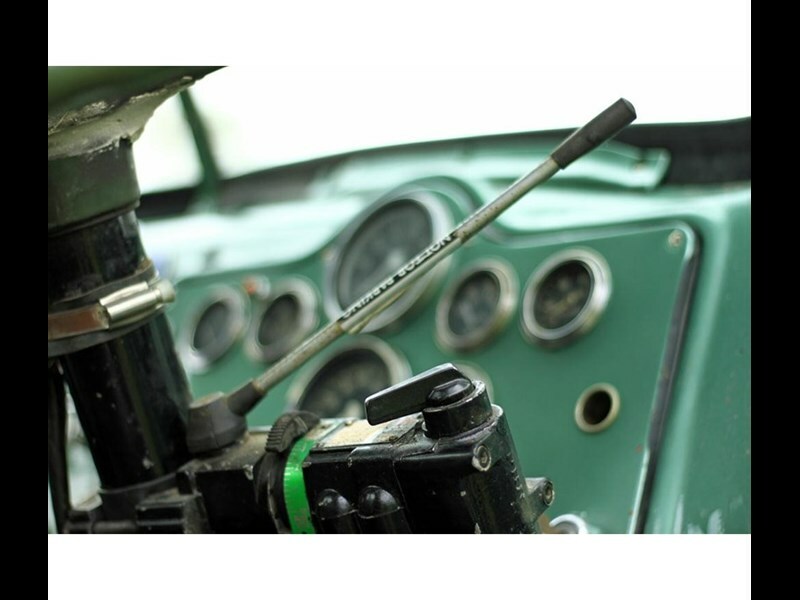 Click here to find Mack trucks for sale. 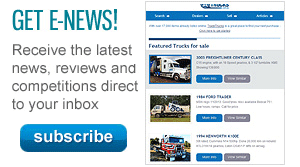 Click here to find new specs for Mack trucks. 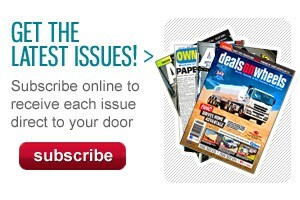 See all the content we have on Mack trucks, including news, reviews, specs, and trucks for sale. Bevan’s 1962 Mack H67 is a one-of-a-kind classic.